Don’t let Ohio’s legislature erode clean energy standards. Ohio’s legislature could finally succeed in their years-long attempts to erode the Buckeye State’s extremely successful clean energy standards. If finalized, HB 114 will weaken these standards while also limiting Ohio’s energy efficiency programs. The Ohio House of Representatives has already passed this dangerous bill — and soon, it will be the Senate’s turn for a vote. Don’t let them destroy the clean energy infrastructure Ohio has fought so hard to build. Tell your Senator: Vote NO on HB 114. I am writing today in strong opposition to HB 114, and to ask you not to support this dangerous legislation that will negatively affect Ohio's jobs and economy. Ohio is home to more than 100,000 clean energy jobs. 3 out of 4 clean energy workers in the Midwest now work in energy efficiency, the region's largest clean energy industry. But by undermining our clean energy standards, HB 114 is endangering this crucial progress while ensuring our air becomes more polluted and Ohioans health is put at risk. HB 114 also pits two critically important priority issues against one another. The state's wind energy development has been stalled by the legislature for years, but the Buckeye State has some of the greatest potential for wind energy development in the Midwest. HB 114 fixes the harsh restrictions on where wind energy developers can site wind turbines at the expense of our clean energy standards. But we should have it all! 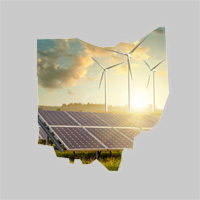 It's time to move past the debate over clean energy standards once and for all and address Ohio's overwhelming potential to develop an innovative, comprehensive energy strategy. It's time to look forward. Please vote NO on HB 114.